WatchGuard offers fresh and innovative virtual security deployment options for businesses of all sizes, from small offices to large businesses and service providers. This is important because virtual environments cannot depend on physical infrastructure alone for protection. Whether your organization is looking to virtualize traditional gateway firewalls or integrate virtual security with messaging and application servers – WatchGuard's got you covered. 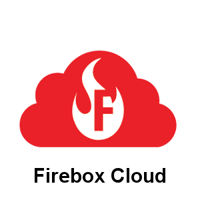 WatchGuard FireboxV brings best-in-class network security to the world of virtualization, enabling your virtual environments to be just as secure as your physical one. WatchGuard Firebox Cloud provides the same award-winning UTM security available in our Firebox appliances to protect servers running in public cloud environments. WatchGuard XTMv runs on industry-standard servers, including Microsoft Hyper-V and VMware for maximum flexibility and availability. Call us today for the best WatchGuard Virtual Security Deals available! 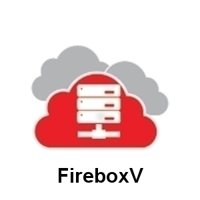 Trade In any manufacturer's security product to a FireboxV Large with 3-yr Total Security Suite including WebBlocker, Application Control, spamBlocker, Gateway AntiVirus, Network Discovery, IPS, Reputation Enabled Defence, Data Loss Prevention (DLP), Dimension Command, APT Blocker, DNSWatch, Threat Detection and Response, and Gold Support. Trade In any manufacturer's security product to a FireboxV Medium with 3-yr Total Security Suite including WebBlocker, Application Control, spamBlocker, Gateway AntiVirus, Network Discovery, IPS, Reputation Enabled Defence, Data Loss Prevention (DLP), Dimension Command, APT Blocker, DNSWatch, Threat Detection and Response, and Gold Support. Trade In any manufacturer's security product to a FireboxV Small with 3-yr Total Security Suite including WebBlocker, Application Control, spamBlocker, Gateway AntiVirus, Network Discovery, IPS, Reputation Enabled Defence, Data Loss Prevention (DLP), Dimension Command, APT Blocker, DNSWatch, Threat Detection and Response, and Gold Support. Trade In any manufacturer's security product to a Firebox Cloud Large with 3-yr Total Security Suite including WebBlocker, Application Control, Gateway AntiVirus, IPS, Reputation Enabled Defence, Data Loss Prevention (DLP), Dimension Command, APT Blocker, DNSWatch, Threat Detection and Response, and Gold Support. Trade In any manufacturer's security product to a Firebox Cloud Medium with 3-yr Total Security Suite including WebBlocker, Application Control, Gateway AntiVirus, IPS, Reputation Enabled Defence, Data Loss Prevention (DLP), Dimension Command, APT Blocker, DNSWatch, Threat Detection and Response, and Gold Support. Trade In any manufacturer's security product to a Firebox Cloud Small with 3-yr Total Security Suite including WebBlocker, Application Control, Gateway AntiVirus, IPS, Reputation Enabled Defence, Data Loss Prevention (DLP), Dimension Command, APT Blocker, DNSWatch, Threat Detection and Response, and Gold Support. Trade In any manufacturer's security product to a Firebox Cloud XLarge with 3-yr Total Security Suite including WebBlocker, Application Control, Gateway AntiVirus, IPS, Reputation Enabled Defence, Data Loss Prevention (DLP), Dimension Command, APT Blocker, DNSWatch, Threat Detection and Response, and Gold Support. Trade In any manufacturer's security product to a FireboxV Large with 3-yr Basic Security Suite including WebBlocker, Application Control, spamBlocker, Gateway AntiVirus, Network Discovery, IPS, Reputation Enabled Defence, Standard Support. Trade In any manufacturer's security product to a FireboxV Medium with 3-yr Basic Security Suite including WebBlocker, Application Control, spamBlocker, Gateway AntiVirus, Network Discovery, IPS, Reputation Enabled Defence, Standard Support. Trade In any manufacturer's security product to a FireboxV Small with 3-yr Basic Security Suite including WebBlocker, Application Control, spamBlocker, Gateway AntiVirus, Network Discovery, IPS and Reputation Enabled Defence.